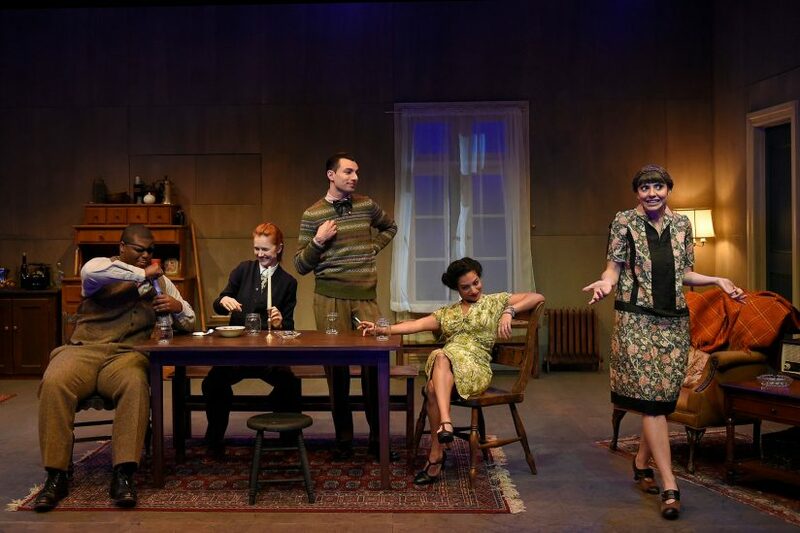 Third-year Master of Fine Arts acting students at the USC School of Dramatic Arts are lucky enough to experience a daunting challenge — performing three very different plays in repertory multiple times during February and March. This year, however, their experience was even more extraordinary. 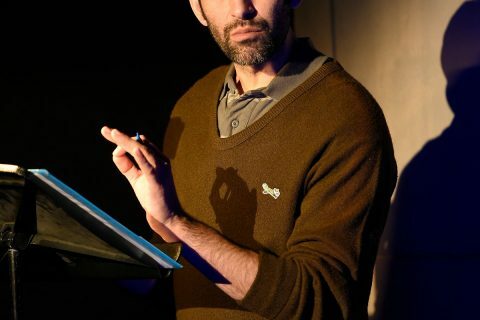 Tony Kushner, the National Medal of Arts and Pulitzer Prize-winning playwright who wrote Angels in America, reimagined his 1985 play A Bright Room Called Day for the MFA actors, working with them via Skype during rehearsals. He also attended a performance. It was Warshofsky’s personal relationship with Kushner that made it possible. The two were classmates at New York University’s Graduate Theater Program in 1981, and Warshofsky appeared in the first two productions of Bright Room, originating the role of Herr Gottfried Swetts. 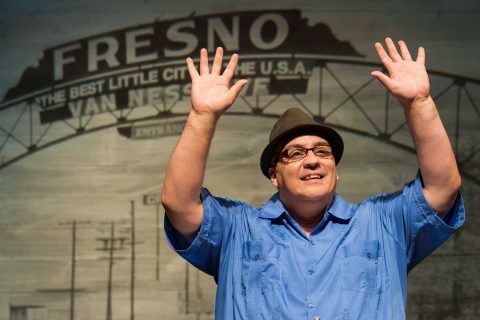 Warshofsky, a busy working actor, decided to make his directorial debut with Bright Room at USC, but he found one challenge with doing the play as it was published — the third-year MFA class has 11 actors. Bright Room had 10 roles. So Warshofsky reached out to Kushner last April, asking if he would be willing to write a new character into the play. 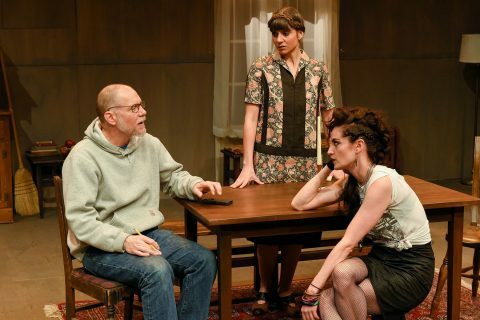 As it turned out, many theaters had been asking to mount Bright Room because the play, set in 1930s Germany — with a commentator adding observations from 1984 — resonated in today’s political climate. 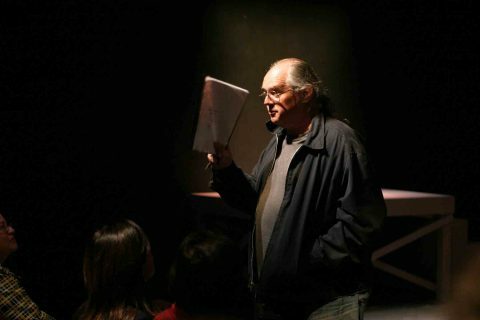 “Tony had put an embargo on the play in all major cities but agreed to rework the play for our MFA students,” Warshofsky said. The new version dealt simultaneously with the collapse of democracy in the last year of the Weimar Republic, the birth of the Third Reich, the dawning of Reaganism in America and the road to Donald Trump. Kushner delivered 50 new pages a month before performances started and sent rewrites up until a few days before opening. The ending was completely changed. The new character, Xillah, who represents Kushner speaking in 2018, made observations and interacted with Zillah, the commentator from 1984. 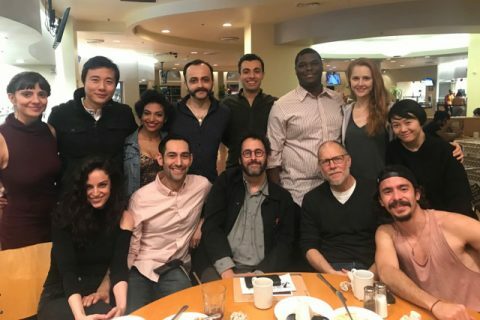 “I’m proud of this fierce and courageous company of actors who continued to incorporate new material right up until the end,” Warshofsky said. “The students worked their butts off,” he added, noting that at the same time they were memorizing and blocking Bright Room (Revisited), they were rehearsing Thornton Wilder’s The Matchmaker and Buenaza/Cabrón, written by Dean David Bridel and the MFA acting class, with music and lyrics by Caitlyn Conlin. Dialogue for Bright Room (Revisited) was dense and intelligent, and the actors had their work cut out for them. And the fact that he was playing Kushner was always in the back of his mind. In addition to Skype-ing during rehearsals, Ramos was able to speak to Kushner by phone a few days before opening. Kushner attended Bright Room (Revisited) at the Scene Dock Theatre and then had a long lunch with the cast before its evening performance of The Matchmaker. Ramos said he was “overwhelmed by emotion” at Kushner’s praise for his performance. Dean Bridel said the school was excited to present Kushner’s new work at USC. 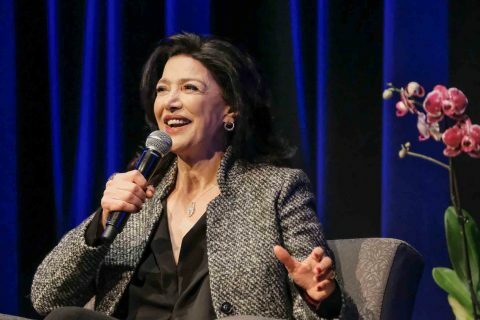 Shohreh Aghdashloo, who has played strong women on stage, television and in films, has simple acting advice for Trojans. 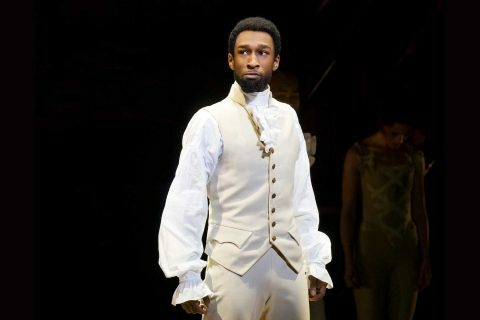 Donald Webber Jr. maintains his strong Trojan ties when he’s not working on the Broadway musical.